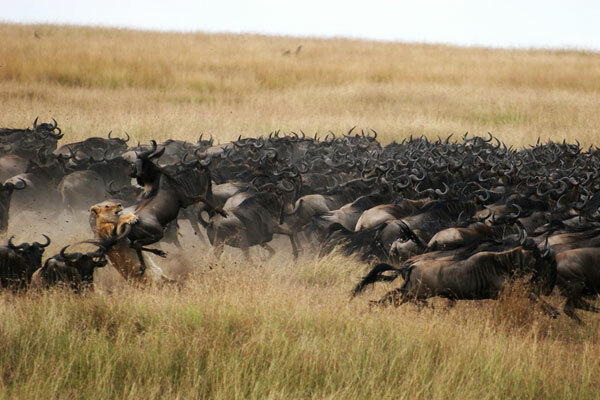 Africa’s great wildebeest migration is the biggest movement of animals on earth. The annual trek from the southern plains of the Serengeti in Tanzania to Kenya’s Masai Mara, and back again, sees the wildebeest battle crocodile infested rivers, predatory lions, hyenas, and opportunistic leopards. If you’re planning to include time with the wildebeest migration on your safari, take a look at our top tips to maximise your chances of viewing one of the animal world’s most spectacular wildlife events. 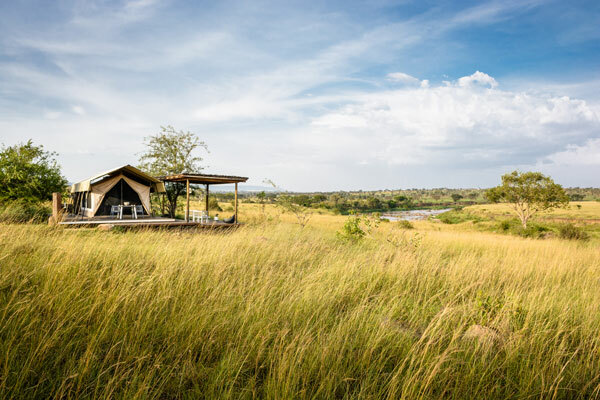 – There are plenty of accommodation options – some, like Singita’s Mara River Tented Camp actually in sight of the Mara River. 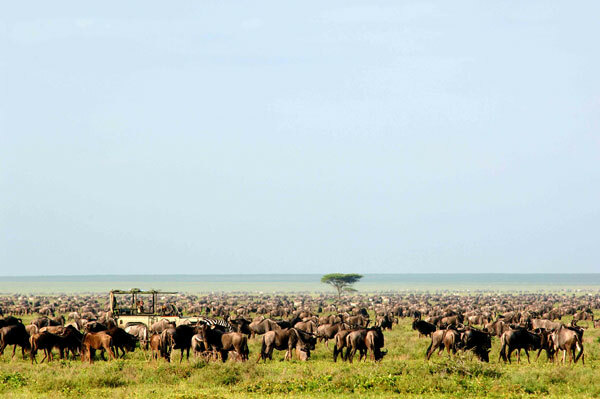 Other camps will move seasonally to ensure visitors get the best viewing opportunities like Serengeti Under Canvas. If you can stay in a private concession you have a better chance of viewing without hordes of other travellers. Many camps and lodges will offer day-long game drives with a packed picnic lunch so you can stay with the herds for as long as possible. 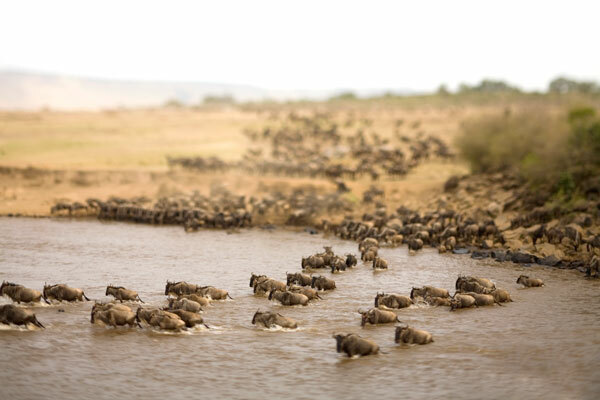 – If you want to see one of the famous river crossings your best bet is to travel around late June and into July when the wildebeest stream across the Mara River into Kenya, and then in late September into October when they head back into Tanzania. 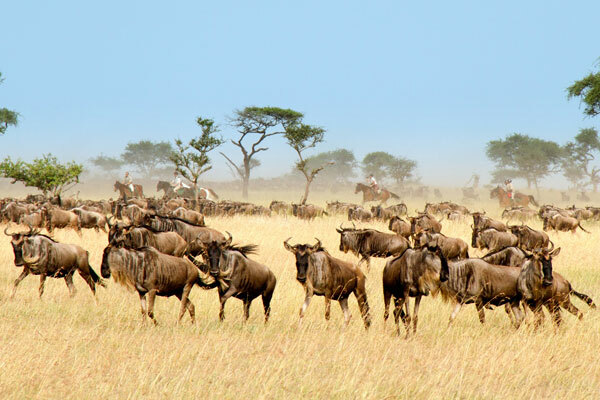 – We are talking about animals here so nothing is ever guaranteed, but the migration follows a fairly regular pattern across the Serengeti and Masai Mara each year. The herds are in the southern part of the Serengeti January to March and in the northern reaches, and the Masai Mara, from July to October. – If you are an experienced rider then it’s possible to arrange a riding safari in the Masai Mara to witness the wildebeest migration. It’s a unique thrill and for many riders, is the experience of a life time. Good guiding can make your safari unforgettable, keeping you off the beaten track so you have an exclusive sighting. 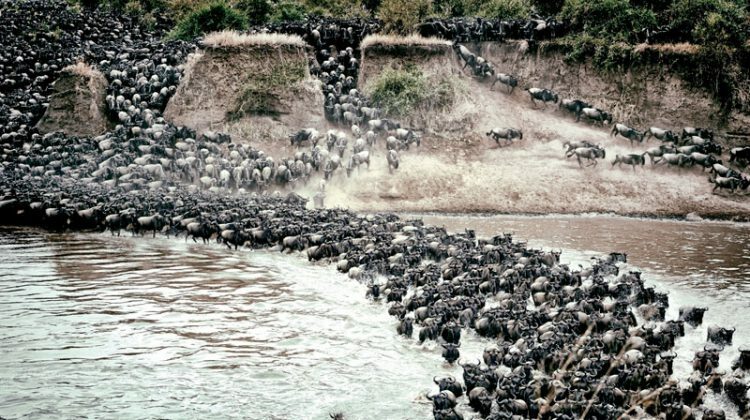 We’ve got loads more on the wildebeest migration on our dedicated wildebeest migration web page which includes a link to a pdf map of the wildebeest migration (as far as it is ever predictable). We can recommend semi-mobile camps which move with the migration or which permanent camps are likely to be close to the wildebeest migration at various times during the year. Get in touch by phone or email and let us help you decide if a mobile safari camp is the best option for you to get close to the wildebeest migration and, if so, which one to choose.